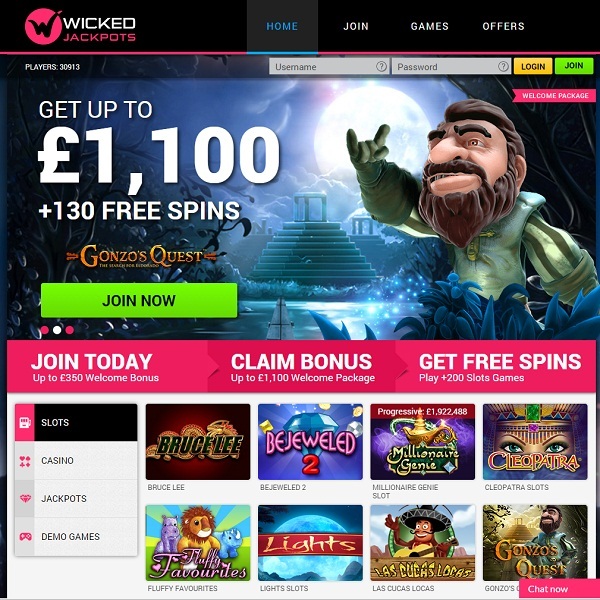 If you’re looking for some seriously large wins, top quality games and excellent value promotions then look no further thank the brand new Wicked Jackpots Casino. The casino features games from Dragonfish, Eyecon, Net Entertainment and WMS Gaming. This means that there is a huge variety of games on offer and of course many of them are linked to large progressive jackpots. The game collection includes multiple slots and video slots, casino card and table games and more. New members of Wicked Jackpots Casino can enjoy a Welcome Package worth up to £1,100 together with 130 free spins on Gonzo’s Quest. There is then a first deposit bonus worth up to £350 and that comes with 25 free spins on Rainbow Riches. The casino also offers cashback, a rewarding loyalty scheme and many more time limited promotions.